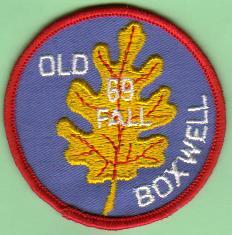 During the 1960s and 1970s the term "Old Boxwell" was used to refer to what has also been known over the years as "Rock Island", "Camp Tubb", and "Charles E Parrish Reservation" in Walling, TN. The reason is that during the 1950s, Rock Island was Camp Boxwell. Boxwell opened in it's current location on Old Hickory Lake near Gallatin, TN in 1960. For more info on this camp which is still owned by Middle Tennessee Council, click here.